Reduced Price! 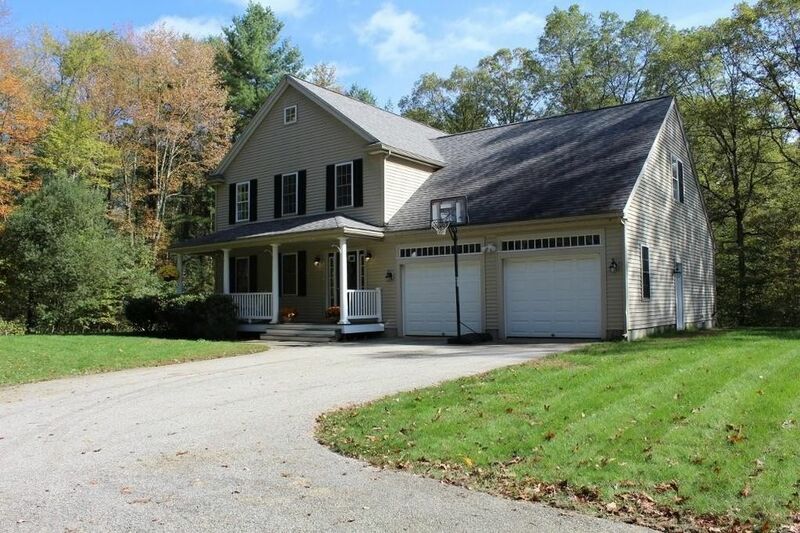 4 Bedroom Colonial built in 2003-04 set on a nearly 10 acre wooded lot in an area of similar age homes. Private yard with the home set well back from the road with a full wrap around lawn/yard, attached two car garage, front farmer's porch & 14' x 14' rear deck. Great home for entertaining with a spacious 12' x 25' front living room, adjoining dining room leading through to an eat-in kitchen & a sunken 13' x 17' Family Room with cathedral ceiling, skylights, fireplace, slider leading to the back deck & all with hardwood floors. First floor Master Bedroom with new carpet, double closets, cathedral ceiling, bath with shower, tile floor & two sinks. Second floor has 3 large bedrooms with new carpets & includes a 13' x 23' bedroom over the garage, a 12' x 21' den/family room ideal for entertainment center/study area/exercise room, plus two 11' x 16' bedrooms & a full bath with two sinks. Located in the charming & affordable town of Oakham, about 20 minutes from Worcester.